An MBA in marketing is the perfect program to prepare those looking for senior positions in marketing management, consulting, or public service marketing positions to make their mark on the world. The courses in a marketing MBA program are carefully selected to optimize the skills that will be required of students once they leave the comfort of the classroom and are introduced to the competitive globalized consumer driven companies that are customary in the business marketplace. These skills are designed specifically for students looking to branch out from other areas of expertise in marketing or management careers, as well as students who are new to the field of marketing, but have a business oriented background. If you enroll in a marketing MBA, there are a multitude of courses that you’ll need to consider; some of these are compulsory, while others can be chosen as electives. Courses that you take may also vary by school and specified program, as not all institutions require the same set path of learning. Marketing Strategy, Consumer Behavior, Marketing Research, Communication, Internet Marketing, New Product Development, and Pricing are a few of the classes that might be available when you enroll. Other courses that you could come into contact with are Brand Management, Service and Strategy Management, International Marketing, Channel Management, Sales Management, Environmental Marketing, Healthcare Marketing, Consultative Selling and Consumer Behavior. Outside of this assortment of theoretical classes, you’re encouraged to gain hands on experience through integrated experiential style learning. The majority of large businesses and some small companies require marketing management on one level or another, which leaves you many opportunities for positions in an assortment of successful companies. You’re most likely to find your career path leaning in the direction of promotions, branding advertising or public relations. As you move past the initial stage of entry level positions, you might think about the prospects of entrepreneurship or consulting, but with such a highly respected degree, it would also be easy to become involved in international business. It’s important to stay abreast of new opportunities for training and updating your skills if you want to keep the doors open; with such a well-respected degree, as long as you’re properly networking and staying informed, the sky is the limit. The education gained through your program should give you steady footing in both domestic and international corporations, and give you the benefit of advancement opportunities in salary increases throughout a wide assortment of different careers. Some of the careers that MBA graduates in marketing specialties choose are high technology firms, consumer products, industrial firms, government agencies, internet based jobs, and non-profit positions. Of course, you also have the option of working in a marketing specific category, which could place you among an advertising agency or marketing research providers. Advertising and marketing managers plan marketing and advertising programs to increase interest in products and services. They often work closely with art directors, financial managers and sales agents to plan and execute the marketing efforts. Advertising managers work with sales and various support staff to come up with new ideas for the advertising campaign. These managers oversee staff that is coming up with the new ads. Also, they work with financial professionals to devise the budget and cost estimates for the advertising campaign. Marketing managers focus on estimating the potential demand for products or services that a company and competitors can offer. They then identify the possible markets for the products. Marketing managers also come up with pricing strategies that help the company to increase market share and profits, while also ensuring that customers are satisfied with the product or service. They frequently work in partnership with PR, sales and product development staff to ensure that the marketing efforts are executed smoothly. Market research analysts study the current conditions of the market to determine what the possible sales potential is of a product or service. Then, they help the company to understand what types of products and services people desire, who will purchase them, and the price they are willing to pay. Market research analysts college consumer demographic information, as well as data on their needs, buying habits and preferences. 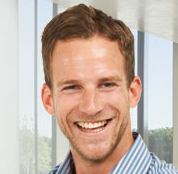 They also collect information and data by using many types of techniques from interviews, to focus groups to market analysis surveys. Market research analysts also determine what the company’s position is in the marketplace by studying competitors and analyzing their sales, marketing and pricing structures. These analysts must be skilled in evaluating data using statistical software and techniques, and they also have to know how to interpret what the collected data means for the specific client. Further, these marketing professionals need to create informative media presentations including charts, graphs and infographics to present results to stakeholders. As mentioned above, marketing MBA students have huge opportunity for promotion in their chosen fields. Depending on the assortment of classes and skills you’ve taken the time to develop, you could find yourself advancing to roles such as marketing or business development manager, sales or brand manager or even marketing director. The graduate program trains and qualifies you for many other different roles as well, and entitles you to a salary that exceeds those graduates of simple BBA certification. The pay scale for marketing MBA graduates guarantee an increase of ten to twenty thousand dollars more on average then a graduate of a general business undergraduate degree, such as a BBA. Of course, your actual salary depends on where you work, and what your qualifications are, but in general, the most recent findings for pay rates find that non-profit organizations have a median range of $57,400 for those holding an MBA, while they pay roughly $46,000 for BBA applicants. Similarly, University or Educational positions provide rates of about $66,000 for an MBA and $42,300 for a BBA. Medical practice positions provide an MBA graduate with $70,000, and a BBA with$59,000, while private practice salaries run closer to $67,400 for MBA and $45,700 for BBA. Students enrolled in marketing MBA courses are encouraged to travel to other educational facilities, and even as far as to other countries. Business and marketing in particular is a talent and career that ranges internationally, which is why taking part in an exchange program is a perfect addition to any educational itinerary. That being said, it can be difficult to commit to a lot of travel and on campus learning while you’re working full time, which is why so many students turn to online MBA degrees; often just as reputable, and can point you toward a path to success in your chosen field. 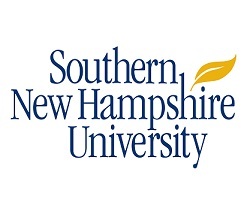 With a Southern New Hampshire University MBA in Marketing, you will gain a better understanding of branding, communications and advertising, as well as consumer behavior. This MBa will help you to improve your skills and knowledge about marketing challenges that are evolving quickly and can affect all of the operations of a company. This MBA in marketing is affordable, with many professionals able to finish the entire degree in a mere 12 months. Your coursework will help you to grasp how to bring in new buyers and use your advanced marketing skills to meet the marketing objectives of your business. You also will add value to your personal business brand, and will be well positioned to attain high ranking positions in marketing, sales and advertising. Mobile technology, e-commerce growth and social media have totally transformed how companies find and interact with customers. To connect more effectively with a worldwide audience, modern marketing professionals need advanced skills to understand the current purchasing trends of consumers, leverage new marketing technologies and be able to crunch large amounts of analytics business data to develop effective marketing strategies. An MBA in Marketing from the University of North Carolina will ready students and professionals to advance their business marketing through high quality, skills-building classes and experiential learning experiences. Other Information: MBA graduates at UNC currently work at Xerox, BASF, GSK, Warner Brothers, E-Bates, Colgate-Palmolive and many other leading companies.